Full disclosure, this is the reaction of someone who’s heard a total of zero Maroon 5 albums, and outside of their most well known songs I couldn’t even tell you what they sound like. But as I’ve been covering more and more music videos their stuff kept popping up, and I was finally curious enough to find out what an entire project sounds like from them. Needless to say Adam Levine (the only recognizable figure from the band) is front and center, and his exceptional pop voice is instantly recognizable and it’s as good as you remember. At this point it’s pretty much the pop standard as it bends and adapts to nearly any sound. Which is good, because I don’t know what actual genre or sound Maroon 5 is mostly known for. On Red Pill Blues at least, their sound is highly varied and pulls in inspiration from all manner of genres. What surprised me, although it probably shouldn’t, is just how smooth, professional, and polished the band sounds as a whole. So much so though that it polished away a lot of the character and distinctiveness I like to hear in my bands. Aside from the absolutely horrendous guest features (including Kendrick and excluding SZA), there’s not a whole lot here to complain about. It’s a very well made album that’s enjoyable to listen – even the lead singles that I initially wasn’t feeling. But it doesn’t leave much of a mark either, incapable of evoking any genuine emotion. Have you heard Red Pills Blue? What’d you think about it? If you’re familiar with Maroon 5, where would you rank this among their catalog? Let me know in the comments below and be sure to leave your own ratings and reactions to the album. 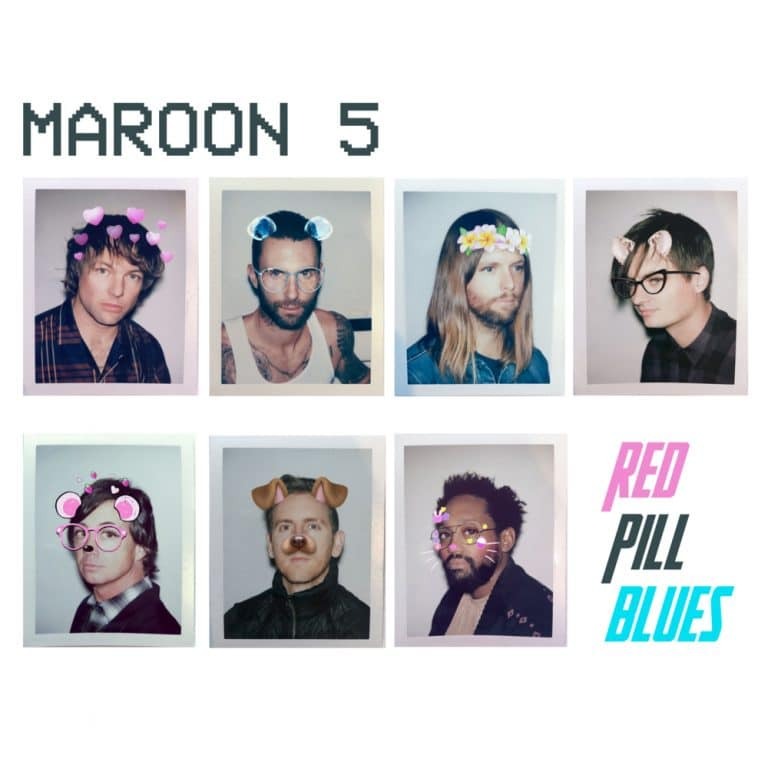 Maroon 5's latest is an extremely smooth, well polished, and professional sounding album that combined with Levine's now universal pop voice makes for a largely enjoyable listen. But it doesn't leave much of a mark either, incapable of evoking any genuine emotion.